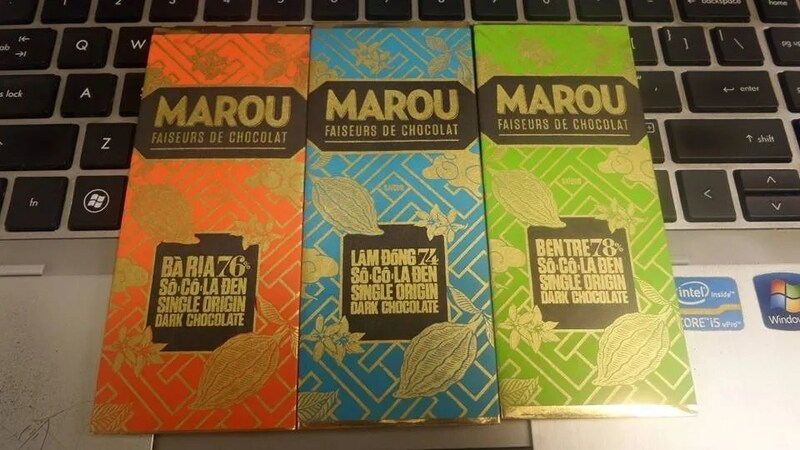 Marou Chocolat | Hello Saigon! Wo ai qiaokeli is the remaining sentence I still remember from my Mandarin class back in the day. I LOVE CHOCOLATE. It’s hard not to. 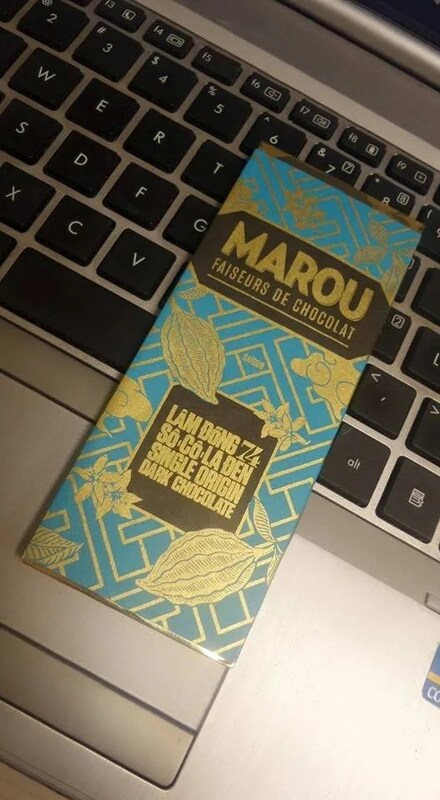 And ever since I watched Marou Chocolat‘s video on how they search far and wide to source their cacao beans in Vietnam, I was hooked. 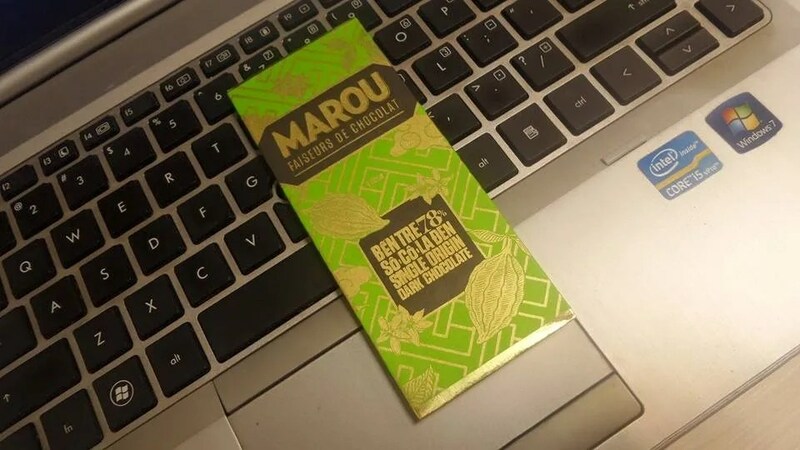 Marou churns out dark chocolates which I love! They currently have 5 flavors in the market. All based on the province where they sourced their bean: Ba Ria, Lam Dong, Ben Tre, Tien Giang, and Dong Nai. I am just glad that they came out with the smaller bars so you can enjoy the different flavors more. I’m not sure which bar I like best but I am slowly getting there. I can’t wait to try their new bar with beans sourced from Dak Lak! How about you? What’s your favorite from Marou? 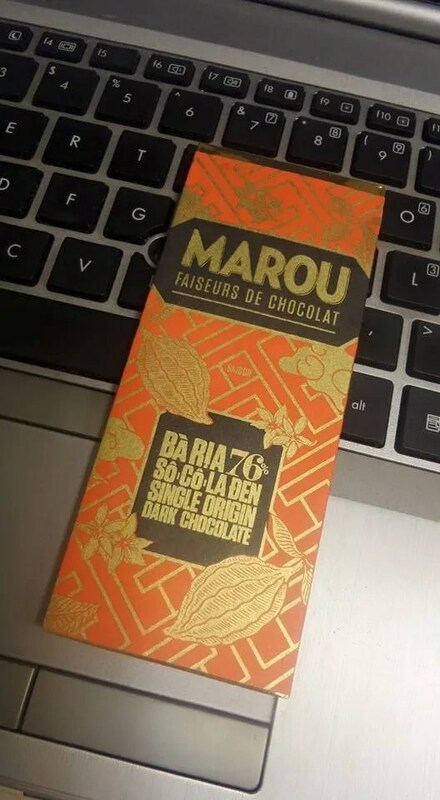 This entry was posted in Gastronomic Delights and tagged Marou Chocolat, Saigon, Vietnam. Bookmark the permalink. 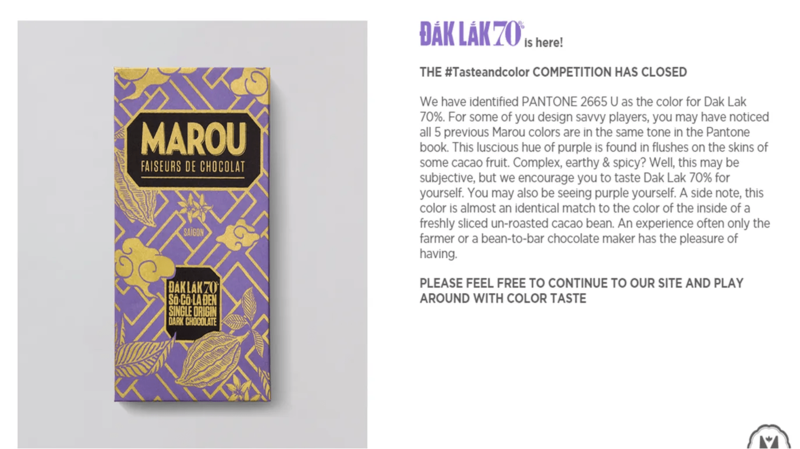 Pingback: Maison Marou Chocolate – Cafe | Hello Saigon!